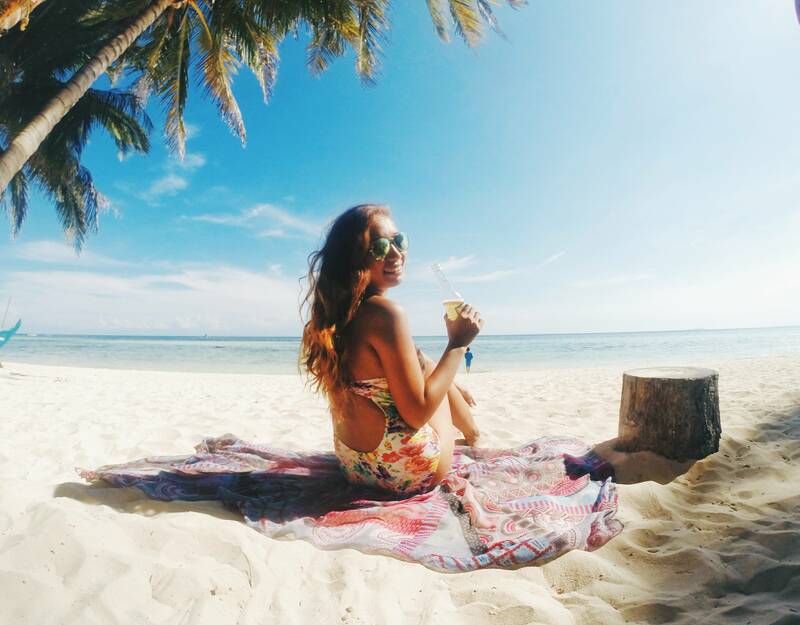 After having too much sun at Antulang Beach Resort and Tambobo Bay, our restless feet took us to a different kind of adventure. On our last day in my hometown, we decided to go to the mountains and relax on a hot spring. 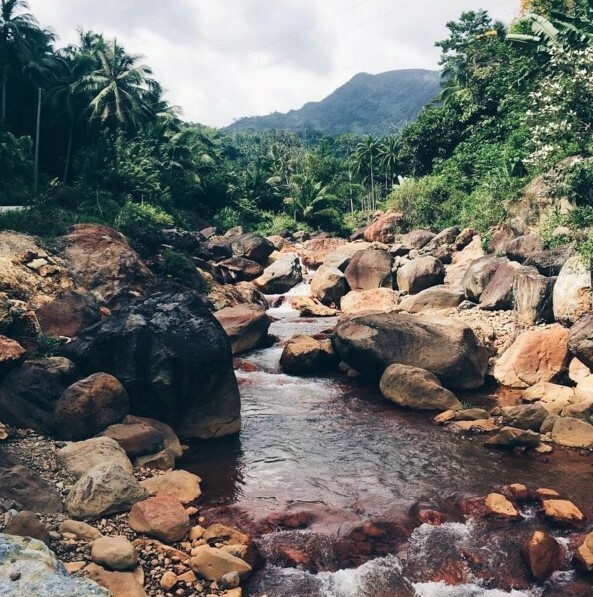 Tucked in Ocoy Valley, Valencia, Pulangbato (pula=red, bato=rock) or Red Rock Hot Spring and Twin Falls are less than an hour drive from Dumaguete City. Buildings turned into trees and houses into mountains as we sped up, and we had to stop eventually on this part of the road to snap this amazing huge rock that emits sulfuric fumes. Because of Mt. Talinis or the Cuernos de Negros, Valencia is blessed with hot springs and geothermal properties. PUVs are scarce in this area but you can still ride some from Dumaguete, just tell the tricycle driver to drop you off at the paradahan for Valencia. When you arrive in Pulangbato, you can ride a habal-habal or motorcycle from the highway going to the hot spring and the falls. Or you can rent a motorcycle in Dumaguete (250.00Php for 5 hours) and use Waze, Google Map or your traveling skills on asking some directions from the locals. After passing by the hill with sulfuric fumes, you have to turn right and cross the Red River Valley, and tadaaa, you've just made it to Red Rock Hot Spring. Rocks here are naturally reddish because of the sulfur. The last time I went here it was not yet developed but now, there are already more cottages and tables for rent. With an entrance fee of 30.00Php, you can already relax in this therapeutic water. According to the sign posted in the resort, hot spring is good for the circulation of blood and it relieves asthma, arthritis and insomnia as well. You have to avoid wearing white or light-colored clothes tho for they can easily get stained by the water. There is a mini store inside the resort but you can bring your own food for family picnics. Aaah, I can still remember the feeling while dipping into this hot spring. So relaxing! 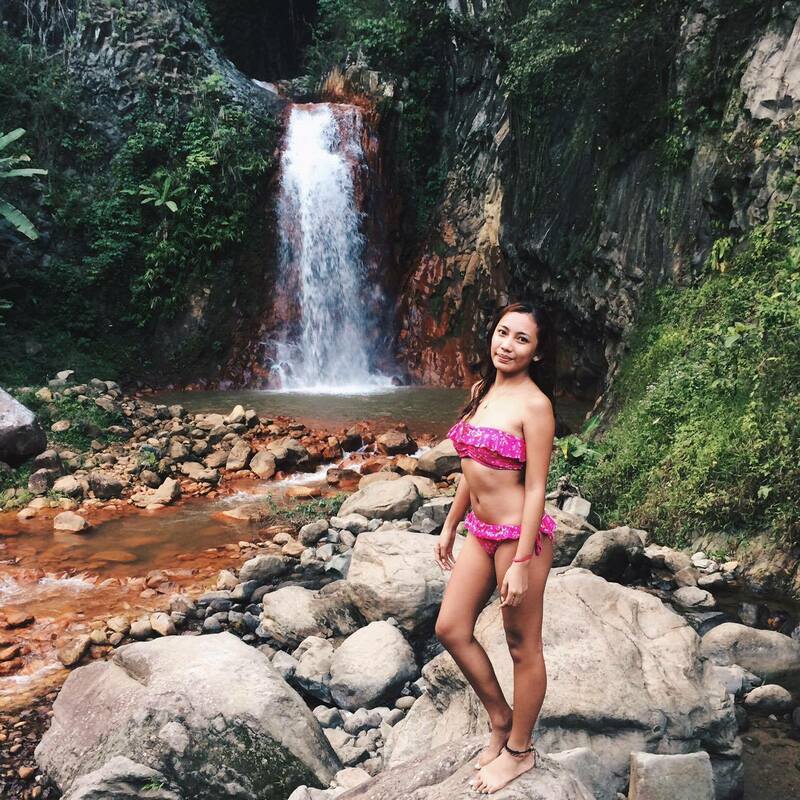 A few meters past the hot spring is the Pulangbato Waterfalls. Of all the waterfalls I've been to, this is the most unique so far because of its big rocks with reddish hue. And just like some of the other waterfalls in the country, one can climb on the rocks and jump into the water hole, deep enough for a dive. These are just some of the many gems found on the outskirts of Dumaguete that I've been to when I was a kid and I can't wait to visit each one of them again soon.